Kara is very excited to announce her latest studio effort “Living with you Ghost” which is slated for release on May 18, 2018. The album was co-produced by the incredibly talented Anders Osborne who also lends his soulful guitar and vocal skills to the project. The album was made in Austin, TX at the Wire Recording Studio and features Ivan Neville, bassist Dave Monsey and drummer JJ Johnson who also is a staple member of the Tedeschi Trucks band. The record also features The Texas Horns. Some people just have music running through their veins. Kara’s musical journey has taken her all around the globe. From her inner city beginnings in the town of Balmain, Sydney Australia, she’s since performed and toured in Japan, Indonesia, India, Switzerland, Germany, the UK and the US where she’s currenty based. Her soulful vocals and unique style of slide guitar has caught the attention of many well-respected artists. She’s opened for Peter Frampton, Buddy Guy, Jonny Lang, Taj Mahal, Marc Cohen and Eric Johnson to name a few. At the age of 16, Kara joined her brother Mitch and formed the band “Papa Lips.” The and regularly toured the sunny east coast of Australia and received national radio play. 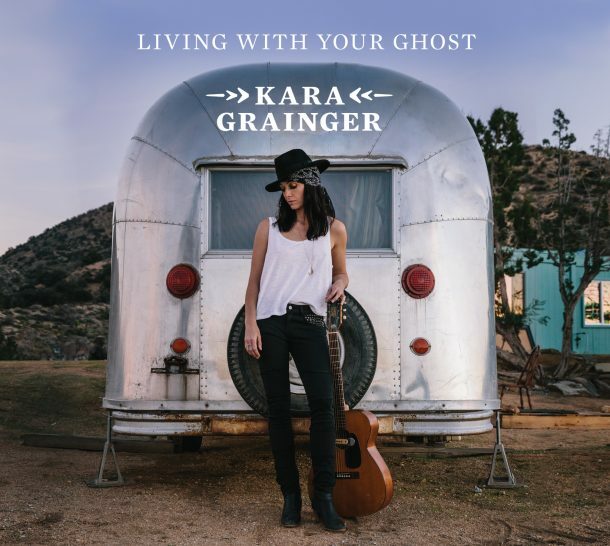 In 2008, Kara signed to Australian label Craving Records and released her debut recording “Grand and Green River.” The record was co-produced in the US with David Kalish and remained in the top 30 of the Americana Charts for 38 straight weeks. The album also was named the best Folk album at the IAP awards. Grainger relocated to LA and made a couple more albums. In 2011 the inspired “LA Blues” was recorded live at Studio City Sound. In 2013, Kara released “Shiver and Sigh” through LA label Eclecto Groove. The album was produced by Grammy award winning producer David Z and featured some of LA’s finest musicians, including Mike Finnigan, Hutch Hutchinson, James Gadson and Kirk Fletcher. In 2012 she toured Japan with The Swampers and Donnie Fritts, the infamous house rhythm section for Fame Recordings in Muscle Shoals. She has taken her band to Switzerland where she performed at the Sierre Blues Festival as well as Lucerne. The band has also toured in Belgium, Germany, France, Luxembourg, Canada and Spain. Kara has also performed at the Beautiful Swamp Festival in Calais France as well as to sell-out crowds on her debut UK tour. One of the highlights was performing at Ronnie Scotts, London’s premier blues and jazz venue. This year will see Kara returning to tour the UK for a third time. Kara has also performed at The Portland Waterfront Blues Festival, Austin City Limits and Colorado’s Blues from the Top where she is once again returning to perform in June 2018. Her new CD will have her and the band touring throughout the states this summer and also internationally to Canada, Australia and the UK. “Living With Your Ghost” is a real gumbo of different emotions. There’s plenty of reflection on the passed and a yearning for people that have come and gone which you can hear in the title track “Living With Your Ghost”. “Nowhere to be Found” was inspired by the memories of people that Kara holds dear. “Working My Way Back Home” talks about the struggle of love and life on the road as a traveling musician, while soulful songs like “Groove Train” and “You’re in New Orleans” free the listener from day to day pressures, and just leave you feeling good. “Living With Your Ghost” will be released on June 1st on Station House Records.